SSYP’s new College Success program will help us do a better job of supporting our graduates as they transition into college. 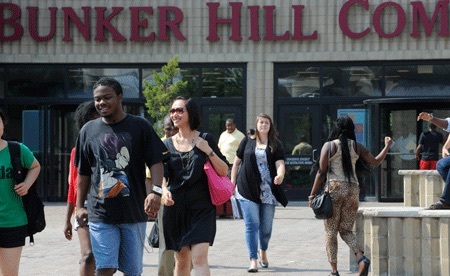 Because twelve of our alumni currently attend Bunker Hill Community College, the school, was a natural choice to be a program partner. Our goal is to create a cohort model, similar to that of the Posse Foundation, where students can utilize each other as resources during the what is typically a very challenging year for Boston Public School graduates. Since many of our alums hope to transfer to four-year schools, we also hope to support them in those efforts. Our next step is to have Bunker Hill students come to an alumni event at St. Stephen’s, where Julita will help them learn more about campus resources and the transfer process. But that is just the beginning. Soon we will go to Benjamin Franklin Institute to meet with their academic advisors and the three SSYP alums who attend the school.